Although most children in secondary school have English lessons, they rarely get the opportunity to hear or speak with native English speakers. We have fun ways to get them speaking, singing and playing games in English. Many of the children are already bilingual in Spanish and an indigenous language and have the potential to learn English. They are also exposed to the English language through popular culture and the internet and, in many cases, motivated to learn. However, many parents and even their teachers do not take the subject very seriously and lack the skills to help. We therefore try and build the self-confidence and communication skills of the children by encouraging them to speak and understand spoken English. Due to the dynamic nature of the group, we use a variety of techniques and teaching aids including games, songs and movies. 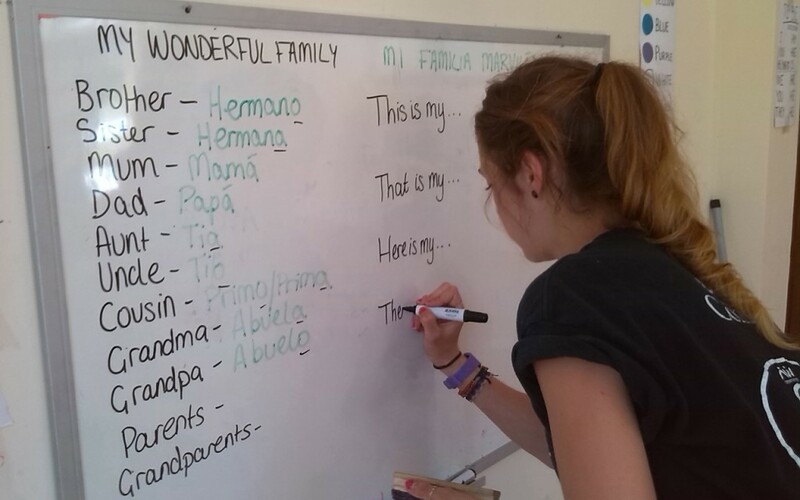 Please contact us if you are interested to volunteer teaching English in Bolivia as we are always looking for people with excellent spoken English who can come up with interesting ways to inspire the kids to learn.